Cooley Gravel Company was established in 1929. 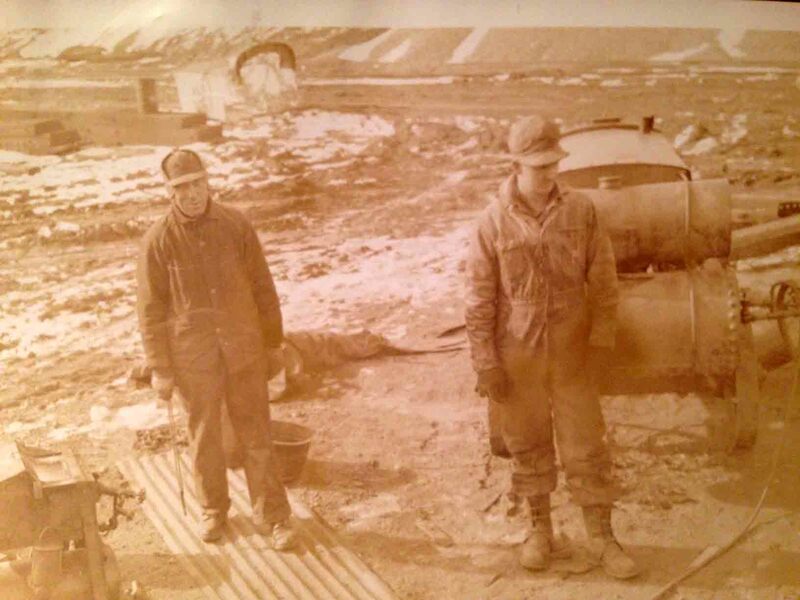 These men worked at the Cooley gravel pit in Sampsel Township. 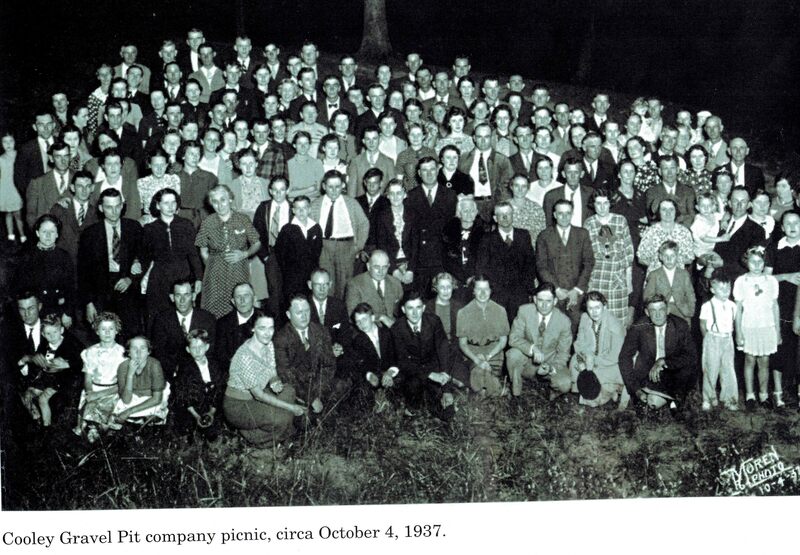 The photo was taken in 1937. Can you identify any of these men? Cooley's Gravel Company was formed in 1929. 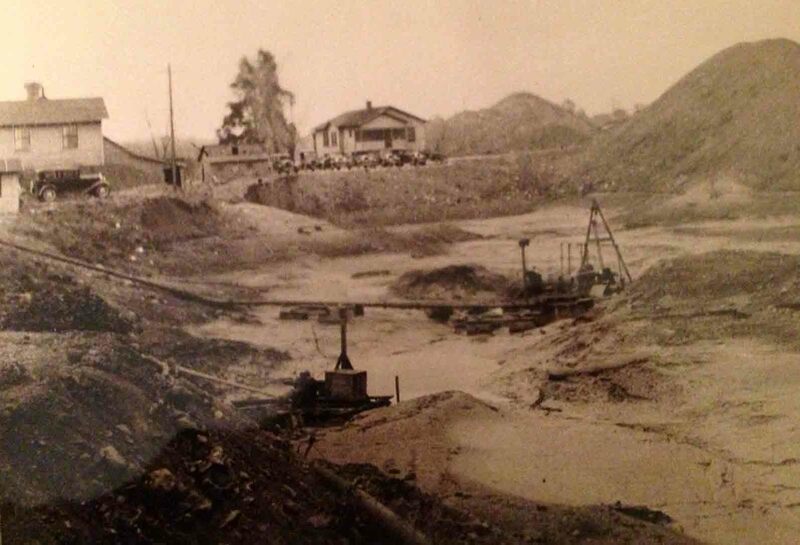 The gravel pit was located east of Sampsel on the route of the Wabash Railroad. Digging of the lake bed behind the house and the office of the Cooley Gravel Company east of Sampsel. The photo was taken in the 1930s. The lake behind the Cooley house and office as it appeared in 2013. The man on the right is thought to be Ira Wybrow. He was married to Willa Hazel Trammell. 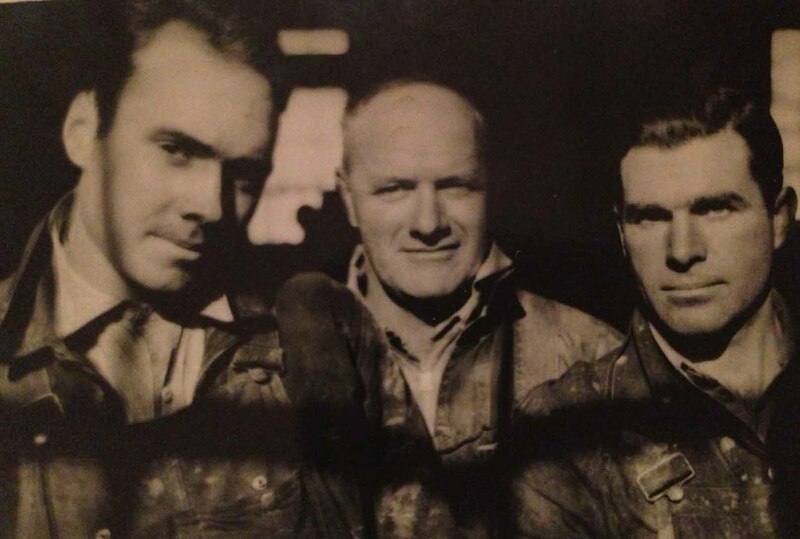 The man on the left is unidentified. 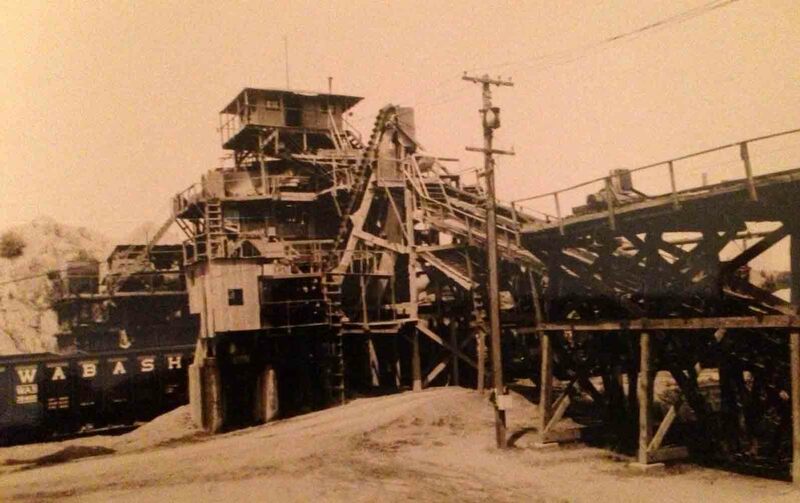 The photo was taken at Cooley's gravel pit in the 1930s.